Laurie Guerra is a 25-year resident of Surrey that views the local community as an extension her immediate family. Living in the Fleetwood area with her husband and five children, Laurie built simultaneous careers in real estate and yoga instruction after achieving international success in the entertainment industry. Laurie’s life forever changed when her son was diagnosed with Autism at the age of six. 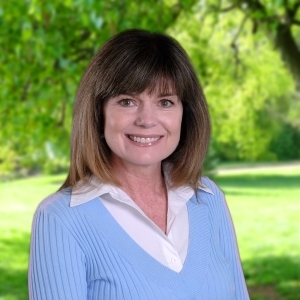 For the past 13 years, Laurie has been one of the province’s most vocal and involved autism advocates as a Director of the Autism Society of British Columbia, a facilitator for the Surrey Parent Support Group for the society, and the Chair of the Community Council for Surrey for the Ministry of Children and Family Development – Community Living. Laurie recently became the captain of her neighbourhood Block Watch and enrolled in Athabasca University to pursue a political science degree at the age of 51. These are endeavours that show an enduring commitment to constant personal challenges and lifelong learning. Her decision to step forward as a City Council candidate for the Safe Surrey Coalition is a way to apply these life philosophies to improving the city she has called home for a quarter century.